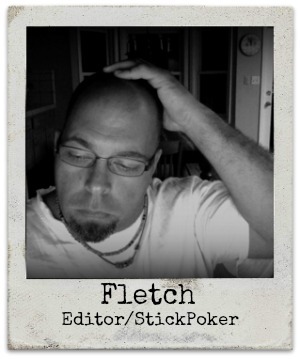 "Hey Fletch. Do you and Kendra want to go to an Enneagram conference this weekend?" Little did I know what this simple request would create in my life. For several months, our adult children had been taking their own journey around the Enneagram with their church and school communities. Kendra and I each arrived at the this "tool of spiritual folklore" that helps you discover human archetypes and character structure. All of this led to us agreeing to attend a day-long conference that focused on 'Knowing Your Number' and learning how the Enneagram helps you relate to yourself, to others and to God. For me, it began a helpful, insightful (and sometimes painful) path of self-discovery that comes through studying the Enneagram, which has been described as an ancient body of wisdom that identifies nine core personality types and describes how each sees and interacts with the world. We spent a good portion of our Saturday being led through each of the 9 types by a trained Enneagram guide. Life changing? More than you know. It's been over a month and I continue to be blown away by the uncanny accuracy of this simple tool. I've been challenged to bravely consider and explore who I really am and the personality (or mask) I choose to wear. When we were in college most of our closest friends took the Myers-Briggs test. For those of my readers familiar with that test, you will understand what I mean when I say that for the past 30 years we've used those 4 letters to help us explain who we are and how we relate to others. If you are wondering, I test as an ENTP (Extroverted, Intuitive, Thinking, Perceiving). On the silly Star Wars chart, I relate mostly to R2-D2. Truthfully, the MBTI was a great tool over the years, but nothing too deep. It was just a label to share with others and more than anything it helped us recognize that Kendra is an introvert and I am an extrovert, but it really ended there for us. Over the years, I've also taken a variety of other personality indicators, but NOTHING has been more accurate or helpful as my recent study of the Enneagram to actually help me recognize and overcome unhealthy patterns of behavior or to work on becoming a more authentic version of myself. I've always been intrigued by the psychology of decision making and why people choose behaviors that are either addictive and destructive. As I've dug into my study of the Enneagram, I've been told: The Enneagram will find you. That's the case with me. I feel like I've been given a window into my past and a better explanation for why I make the decisions in life that both harm and help me. The MTBI, DISC assessment, and Strength Finders did not offer this uncanny insight. So, what is it? Initially, the Enneagram can become a bit addictive, especially when you begin to uncover aspects of your life you've chosen to ignore and realize where you park stuff in the shadows that you don’t want to face in real life. Slowly, I've begun to discover the repetitive patterns in my life that I have used to respond to stress. To put it into familiar terminology, I am on the first steps of self-discovery. If you know anything about me, you will know that I don't want to get too deep. Let's keep everything up here on the surface people! No one gets hurt if you dig too deep. Right? If you don't know that about me, that's because I would never tell you! Ha Ha! My favorite thing about the Enneagram is that it doesn't just reveal the messy corners of life, but it reveals that you have both a beautiful side and a dark shadow side to your personality. The strength of your personality can also be loaded with coping mechanisms. The Enneagram also provides suggestions on how to move to the healthy side of your personality. Thankfully, there are several new resources available to students like me who want to learn more. From podcasts, to books, to websites, to newly written songs, it is easy to dive in and begin the process of self-discovery. In the next few weeks, I plan on writing through what I've learned and how I think the Enneagram can help us live more clearly in light of the gospel. I plan on writing openly and transparently about what I've learned about myself and how every point in life has led me to this point. 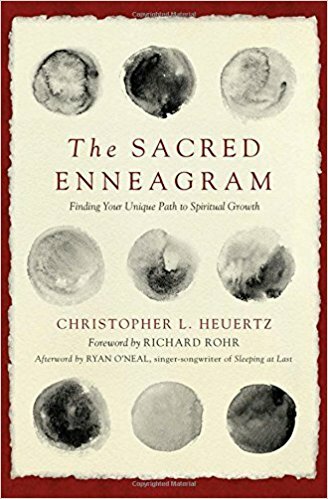 I also hope to share how the Enneagram has revealed to me why we should provide heaps of grace to others who process and deal with the world differently. Good stuff coming! I promise! Lastly, there are many Christians who read my blog who don't have any idea what I'm talking about, but they've googled what the Enneagram is and have turned me off because they think the Enneagram looks mystical (or like a demonic pentagram). Because it dives into the psychology of the human mind, others have written it off because it goes "outside of scripture" to provide help. That's okay! I don't fault you. I would have done the same, but as God continues to reveal to me who I am through His word, the Enneagram serves as one of the tools that helps pry open some of the parts I've hammered closed. Hang in there with me, maybe you'll find some help you didn't know that you needed.